Field trip for Env. Res. 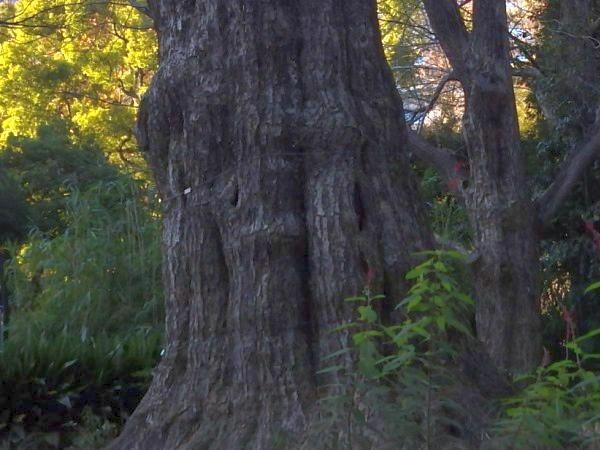 Select trees, and explain why? 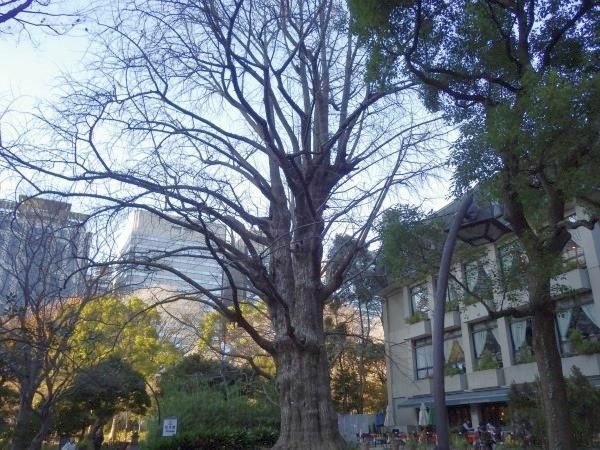 This large ginkgo tree stood at the Hibiya Approach (near the present Hibiya corssing) before Hibiya Park opened. 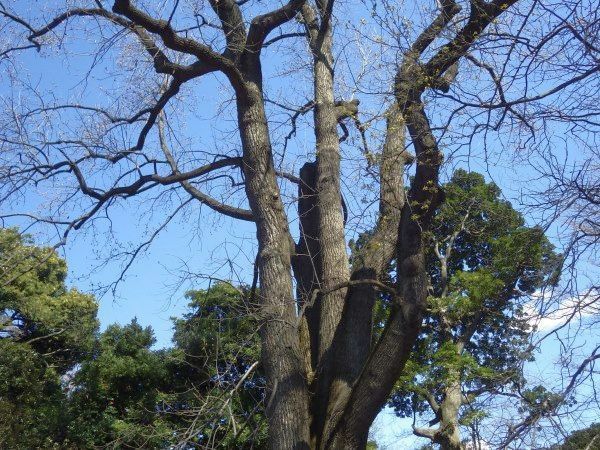 Around 1899, Dr. Seiroku Honda (the designer of Hibiya Park) was surprised to learn that this tree was to be felled due to the road expansion; he approached Toru Hoshi, Chairman of Tokyo Municipal Council, and it was agreed that the ginkgo tree should be transplanted. The name derived from the successful move, which was thought to have been impossible. Dr. Honda had said, "I will have it transplanted even if my head is put on a stake. 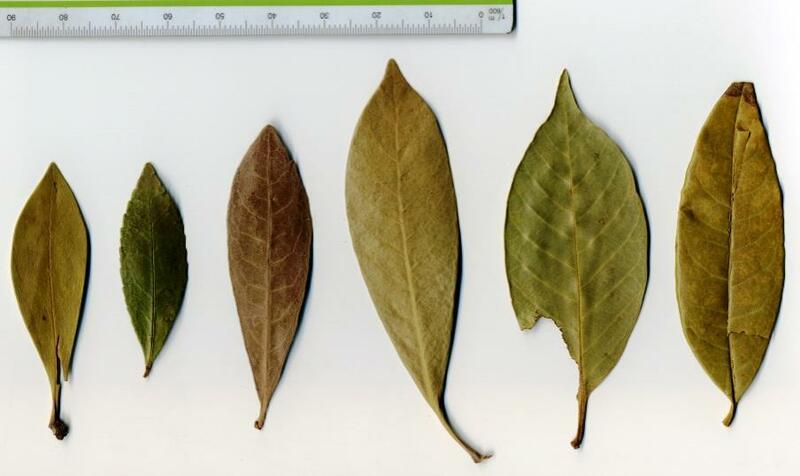 Liriodendron consists of two species, L. tulipifera L. and L. chinense (Hemsl.) Sarg., disjunctively distributed in North America and China, respectively. 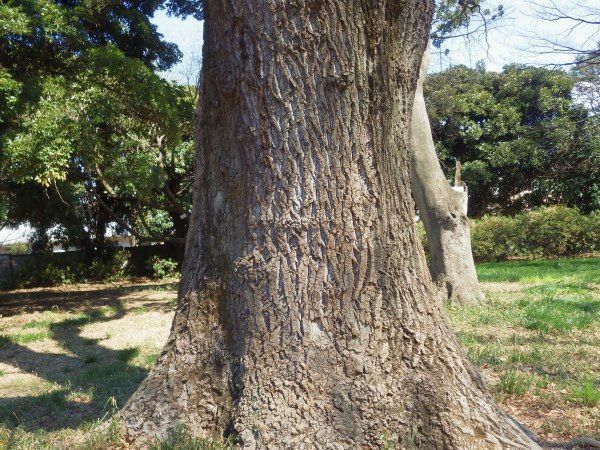 This tree was grown from seed received from USA in early Meiji Era and one of the oldest trees of this species in Japan.